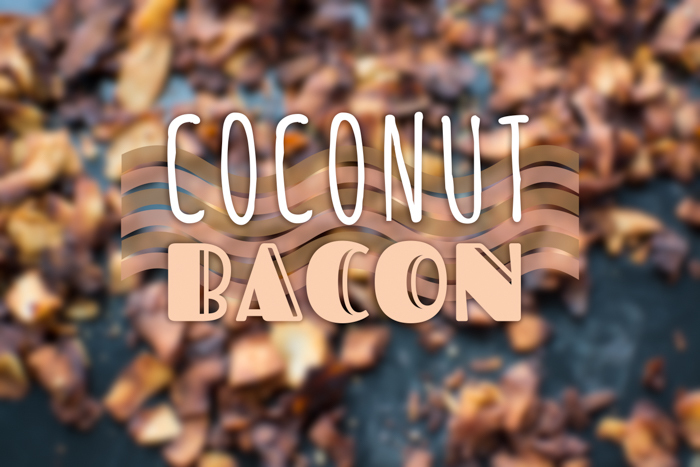 Coconut bacon. 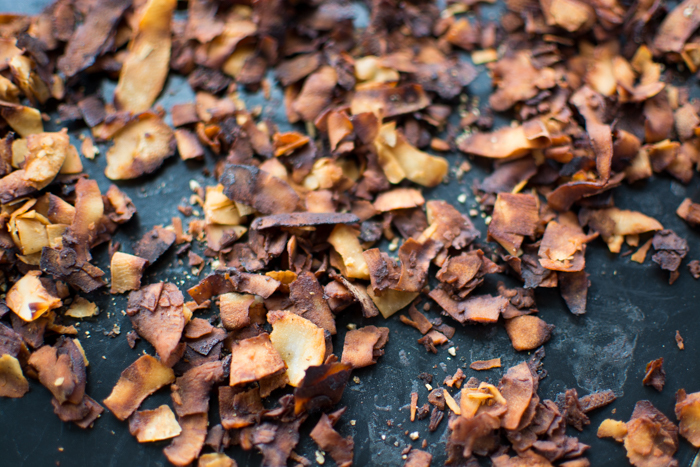 A crispy salty smoky plant-based alternative to bacon crumbles. 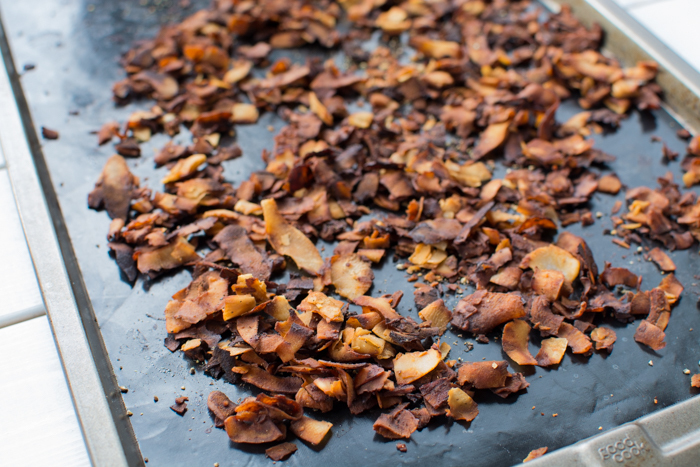 Fool proof, this coconut bacon is incredibly easy to make. It’s also gorgeous, which makes it nice to look at. 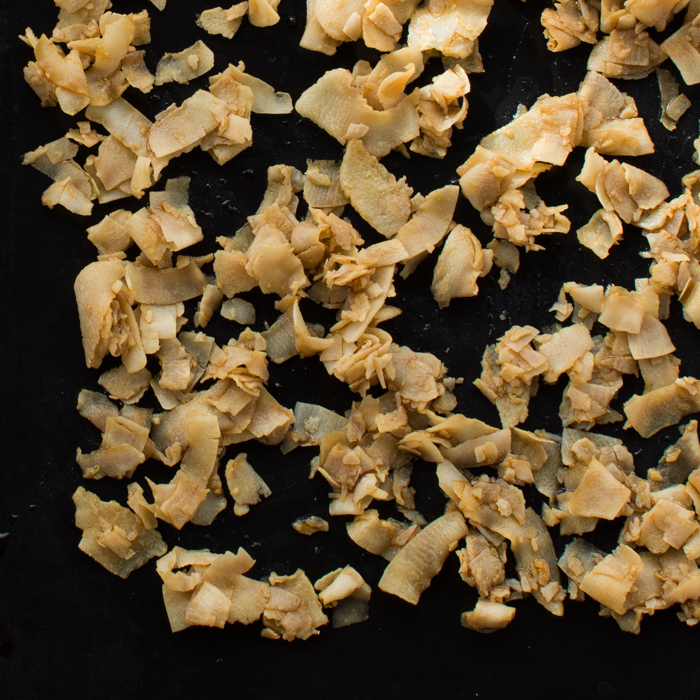 Texture and flavor perfection means it’s wonderful to munch on. I especially love the dark bits. They are super crunchy and almost burnt. Just how I liked bacon. For the marinade I used tamari for that umami salty presence and a touch of liquid smoke to mimic that ‘cured’ flavor. Balsamic stretches the flavor profile just a little so it’s well-rounded, but not too sweet. Simply whisk the liquid ingredients, add the shaved coconut (not shredded), let sit, transfer to a baking sheet and bake for 20 minutes. It’s really hard waiting to taste things that are right out of the oven. Because the pieces are so small it only needs a few minutes to cool off. Once cool, store in a tight-lidded glass container. That is…if they last that long. 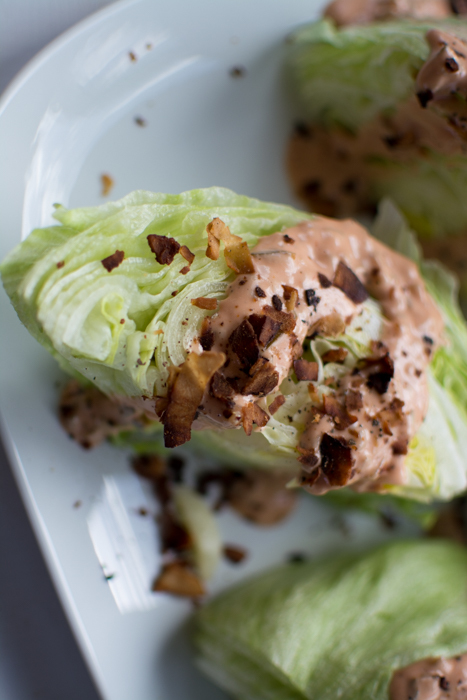 Enjoy over salads, on sandwiches, and even baked potatoes. In a small bowl whisk tamari, water, liquid smoke, balsamic, and black pepper. 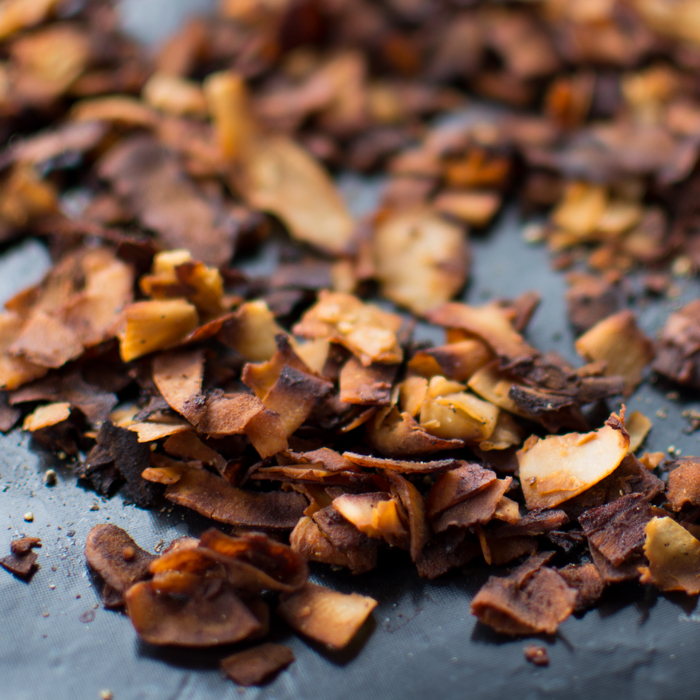 Slowly add dried coconut and stir several times to get all the coconut flakes coated. Let marinate for 20-30 minutes unrefrigerated. Using a slotted spoon transfer the coconut to a lined cookie sheet (parchment paper or reusable baking liner) and spread out evenly. Bake 18-20 minutes. Remove from oven and let cool for 3 minutes. Enjoy!